Lasers used to treat warts is relatively new in Pittsburgh. Laser wart treatment was unheard of even several years ago. The laser we use is gentle enough for treating kids warts, but powerful enough to make mom very happy. As of Sept 2016, we are the first to have the new “double tip” laser for treating warts which can penetrate deep into the wart ,cutting treatment time in half. 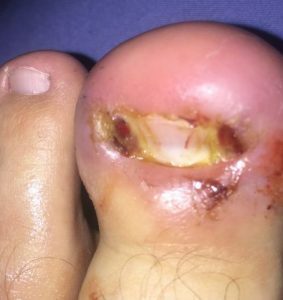 Plantar wart laser treatment is relatively painless and requires no anesthesia and does not cause a burn.Your child can be back at dance class or soccer immediately afterward. nd you’ve got a real kid emergency on your hands. 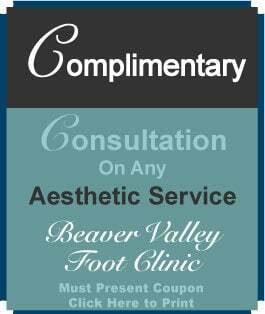 At Beaver Valley Foot Clinic we reserve same day appointment slots just for such a foot care emergency. Actual treatment time is quick and painless so your child is back to school and out on the field immediately. 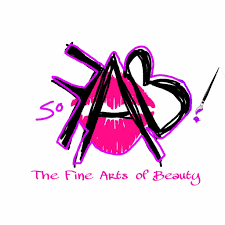 There is also a special permanent procedure for those stubborn recurring ingrown toenails. Kids grow so quickly that replacing those $500 custom orthotics every year just won’t happen. 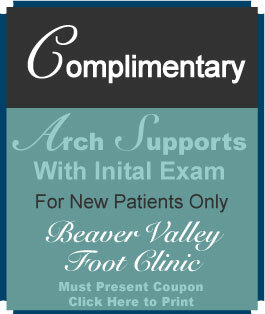 That’s why at Beaver Valley Foot Clinic we carry a full range of arch supports for kids in all children’s sizes at less than 1/10th the price of custom orthotics for children. There are certain specific times custom arch supports are necessary, but let the doctor tell you when that is, and not a salesperson at the good foot store. Your child can actually try on several styles to meet their shoes style and activity at a price you can’t even find online. Let’s face it: Kids run around barefoot. When you need that piece of glass or a wood splinter removed from your child’s feet, you can trust Dr Tina to be patient and gentle and alleviate their fears about their treatment. 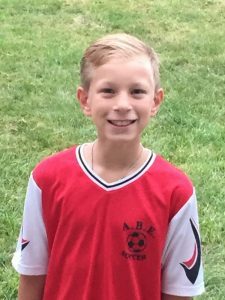 These painful foot conditions in children used to be rare; but now with year round sports and being on 3-4 soccer teams at once, and football conditioning started in July [that’s all my kids), I see it a lot more often. 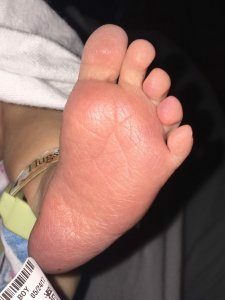 First we determine whether or not there is any tear or rupture of the plantar fascia. Then we determine the proper accommodative footwear and inserts and appropriate level of activity based on your child’s foot injury. We end with prevention training going forward. Need more information about Pediatric Foot Care?